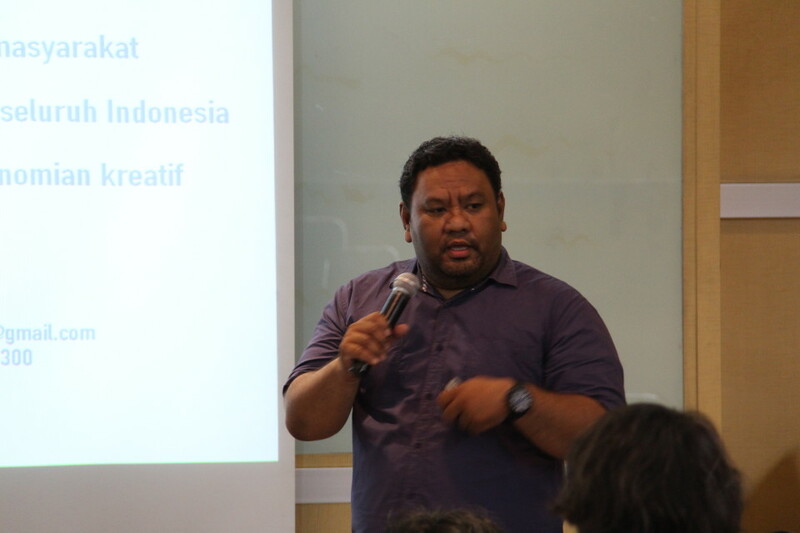 BINUS INTERNATIONAL’s Communication program once more organized a ‘Tech Media Talk’ on May 26. 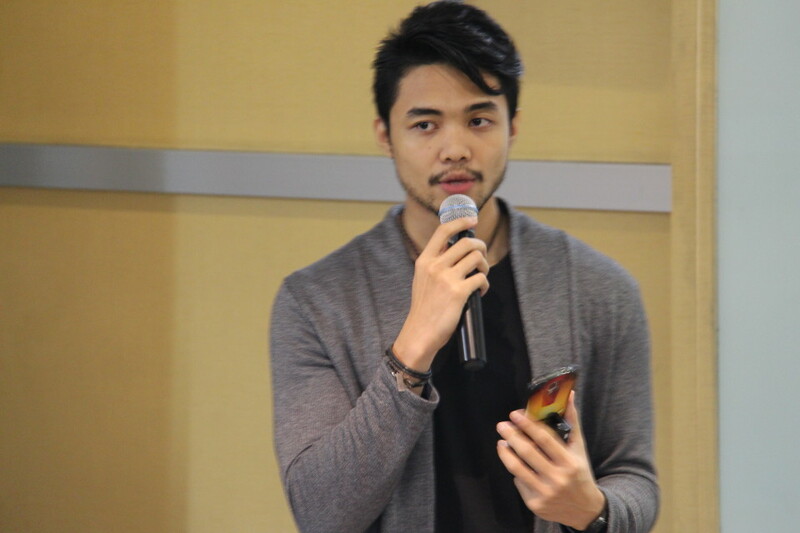 The weekly event presented speakers from many different industries, including Christian Adijaya (musician, model, and social activist) and Isky Iskandar (initiator of the Weekend Workshop-WeWo community), who shared their inspiring stories to the students. Christian Adijaya greeted his audience and revealed that he was a basketball player during high school. He was born into a family that prioritizes education. Like most parents, Christian’s expected him to obtain a high level of education and be able to make achievements throughout his academic career. However, Christian chose to walk a different path. Unexpectedly, his parents and other family members fully supported his decision. Christian’s aspired to a career in the music industry. However, he decided to try his luck in the body shape and fitness contest, ‘L-Men of the Year’ (LOTY). He won the contest, but the real bonus prize was meeting the other contestants who shared his passion for music. Christian and his fellow contestants decided to form a band. Now Christian has a wide range of activities, including music, modeling, and social work. When giving his presentation, Christian encouraged his audience to dare to dream and make it into a reality. He said that what he has achieved is a result of his long-time dreams. Christian also advises not being afraid of dreaming big, because “big dreams make someone have greater motivation. If your dream does not scare you, it means that it’s not big enough”. Isky Iskandar also had an inspiring story. Isky and his friends successfully combined a touch of business into a creativity event held every weekend for Jakarta families. Situated in Kemang, Isky built what he calls Weekend Workshop or WeWo, a creativity-based social community that holds workshops, such as handicrafts, and painting. The event offers training sessions in how to create works that attract buyers. Additionally, the participants, most of them children and teenagers, are trained in how to market their completed work. What initially concerned Isky was that many families in Jakarta did not have any idea how to spend their weekend. They spent a typical weekend at the malls and shopping centers that would only stimulate capitalist activities. “If we can be productive, why become consumers? If children are taught since early age to merely consume, it is not good either. That is why we try to offer a different way to put a meaning into their weekend,” said Isky. The community gained positive responses from Greater Jakarta residents. So Isky decided to not only carry out the activity in Kemang, but also in other areas, such as in South Tangerang. WeWo has been in operation for 2 years, offering 17 types of crafts to its participants, including shirt printing, knitting, woodcarving, painting, and even magic. “Although I did not work in this field before, WeWo’s activities has become my main job because what we do here is very interesting,” said Isky. Isky said he hoped that this kind of activity will enhance the level of creativity within Indonesia. Not merely consuming, but also producing valuable things. “My dream is that Indonesia can be as creative a country as others are”.